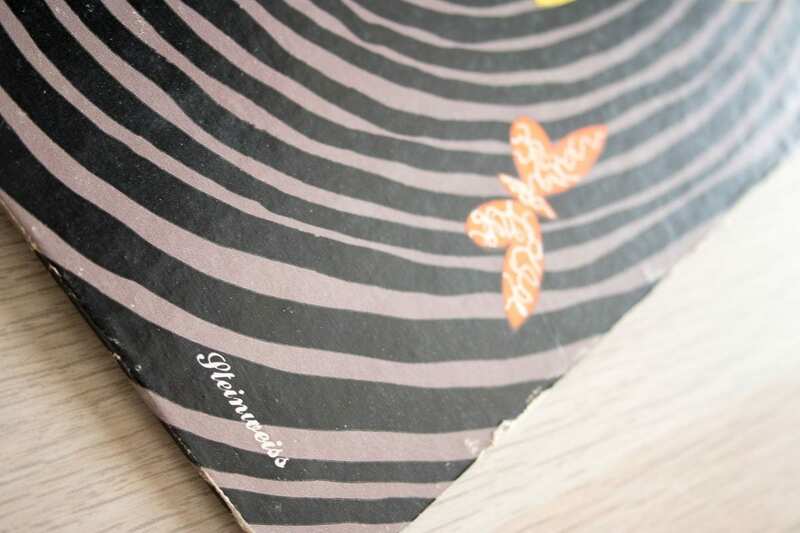 Front cover credit close-up. Steinweiss, Alex (design). 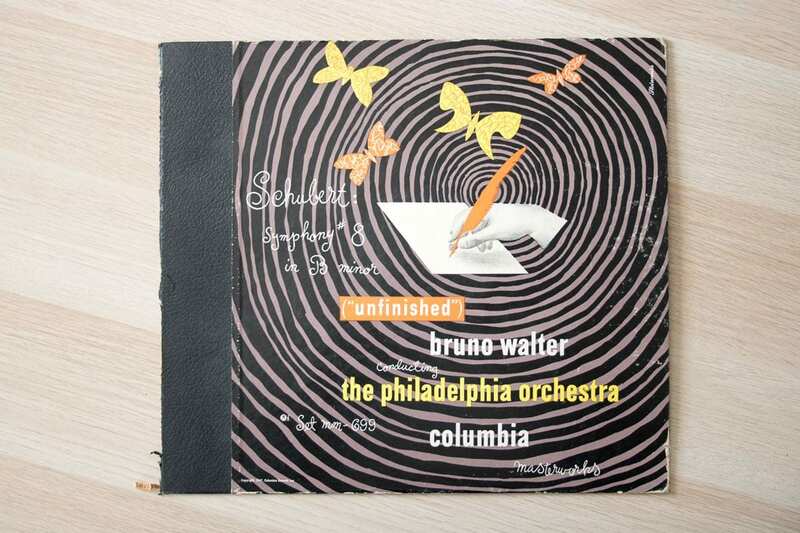 Bruno Walter conducts the Philadelphia Orchestra, “Schubert: Symphony #8 in B minor.” Columbia Masterworks (MM-699) 1947. Shellac 78-RPM album cover.